A lot of people have seen the Brad Pitt starring season hit, “Fury”. The story of Don Collier and his crew facing off against seemingly impossible odds struck a chord with people the world over but whereas that was a work of fiction, there is a story of even greater bravery that is not. Very few know of Pakistan’s own, real life Don Collier; his name is Risaldar Muhammad Khan and this is his story. The first time I met him, he came across as a typical Sargodhian Armoured Corp JCO, the type that do justice to the title of “Sardar Sahiban”. To be clear, his being Sargodhian was an initial assessment that stuck with me and to this day, I am not sure if he was actually from Sargodha. His skin was taut, eyes wide and beaming with courage, to complete the package, he also sported a heavy moustache. If there was anyone who could personify cavalry, it was Ris. Muhammad Khan. My first impression of him was cemented when we were preparing to initiate our first attempt to breach into militant controlled territory. The tank crews had never experienced war before and they had never been taught to expect using tanks in such terrain, they were tentative and unsure. It was under these circumstances that I found myself mounting Ris Muhammad Khan’s tank to lead the column in an encounter that can only be described as fateful. He struck me as a rare breed of soldier who showed complete disregard for the sombre environment and welcomed me on board, he was eager to get in the fight; a fact he demonstrated when his crew laid their gun on my command in a moment’s instant before Muhammad Khan almost jubilantly sounded his ready report in his billowy voice and typical Armoured Corp fashion “Ruddy Sir!”, he shouted each time as he waited for my command to let loose on the enemy. On another occasion, I was accompanying IGFC, to the line of contact when were ambushed at Nisarabad. The General insisted on travelling with his flag flying and stars visible to rile up the troops, the miscreants also knew they had managed to find an important target and the intensity of fire the enemy laid down seemed to reflect just how terribly determined they were to ensure that they did not let this opportunity slide. However, we were successful in breaking through the ambush despite all their attempts. A single vehicle was hit and along with three individuals, was left stranded at the site of the ambush. The IG made it very clear that he wanted the stranded soldiers to be extricated and the site punished but the tanks were being replenished and it was going to be some time before they would be ready to head out. I stood near the tanks and shouted if there was anyone who would be ready to leave and in response to my challenge, I heard a very familiar voice bellow from one of the tanks “Ruddy Sir”! It was Ris Muhammad Khan once again, he popped out of his cupola with the same determination in his eyes. We took the tank into the heart of the enemy’s ambush, rescued the stranded soldiers and were able to return them to safety despite sustaining three hits from rockets and another from a recoilless rifle. He had won my trust earlier but now he also had my respect. At Rashakai, brigade tac as well as two units were encircled by the enemy who numbered approximately over 1500 strong. They had pinned down the troops and numerous attempts at linking up with them had proven unsuccessful. It was here that the tankers truly had a chance to demonstrate how invaluable they were to an LIC operation. The terrorists were at a loss as to how they could deal with the tanks, which became the only lines of communication between Rashakai and Khar. They could break through the enemy lines, guns blazing, and carry the injured, ammunition, food and supplies between the encircled troops and headquarters. On one such cavalry dash, Ris Muhammad Khan’s tank received a hit from a recoilless rifle near Nisarabad, where Muhammad Khan had earlier extricated that stranded crew from. His tank was left immobile and his driver was martyred at the spot. The remaining two tanks of the troop stood by and supported him but eventually even they had to leave to replenish their ammunition and fuel. 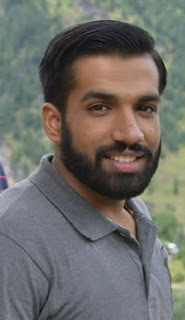 A determined and fearless attempt to rescue the crew was also made by 2nd Lt Saqib who was considered too young to be trusted with a tank at the time and was thus given the command of an ARV, but the heart of a soldier is never bound by the machine he is limited to, using a smokescreen, Saqib tried to recover the tank or at least save the crew but the intensity of the fire was so great that the men could not be rescued and the ARV had to withdraw again. In the meanwhile, a Quick Reaction Force(QRF) had been assembled and dispatched from Headquarters to relieve the stranded tank crew. Under the command of the Brigade GSO-3, the QRF put up a fierce fight but eventually had to withdraw unsuccessfully as well after taking an enormous amount of fire, the Brigade GSO-3 was also injured in the attempt. In a last ditch effort before the evening gave way to the pitch darkness of the night, the tanks from Ris. 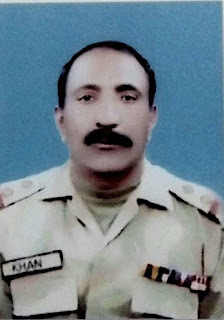 Muhammad Khan’s troop attempted another dash for rescuing the stranded crew and were supported by an effective aerial effort. However, once again, the intense fire discharged by the miscreants from hidden positions and the fast approaching dusk forced the aerial effort to be suspended and the supporting tanks also had to withdraw once again for replenishment. This is the last time that the crew of the stranded tank would be seen alive. In the small window of time from this moment when the troop withdrew to when he embraced martyrdom, Ris. Muhammad Khan and his crew exhibited the type of bravery that is rarely seen in entire lifetimes. Sep Raza of 34 Baluch had become separated from the QRF under fire and had fallen behind, Ris Muhammad Khan placed him in the driver’s compartment to protect him from enemy fire while he himself geared up to make his last stand. The terrorists had surrounded the tank by that time and were preparing to mount, they intended to capture the tank intact and the crew alive in order to be able to use the tank against the Army and be able to train their own tank crews who could then commandeer other tanks that they would try to capture. It was an ambitious plan that rested entirely on the fate of this one tank crew. Ris. Muhammad Khan told his crew to relax and accept that whatever may come, will come but the least they can do is to die fighting like true men and leave a good account of themselves for their comrades and the enemy. From that moment onwards, Muhammad Khan slid into the commander’s seat and ­­prepared the main gun, whenever the enemy would try to take the tank or assemble to reorganize, he would fire in their direction and force them to disperse. The enemy was becoming frustrated by being denied the opportunity to take the tank as their casualties continued to mount but the tank crew showed no intention of yielding. Inevitably, the ammunition for the main gun was soon exhausted and it became difficult to engage the enemy at an extended range. Ris. Muhammad Khan moved to using the coaxial machine gun in order to engage the enemy. The enemy were not allowed to raise their head from cover as Muhammad Khan kept a vigilant eye out for them and was determined to keep them away from his tank as long as it was possible. Muhammad Khan was running out of ammunition and knew that his options were limited. Realizing the gravity of the situation and assessing his best course of action even under such grim circumstances, he kept his wits about and gathered the grenades from the entire tank crew. Then, when the ammunition from his coaxial machine gun had also finished, he waited for the enemy to try to take the tank again before he could attack them with the few hand grenades he had left. One by one, he tossed them out of his cupola and towards the enemy who had already suffered extensive damage to their fighting strength whereas their own attempt at attrition had failed. Now down only to his personal sidearm, Ris. Muhammad Khan patiently waited for the enemy to open his cupola before he could put up his last moments of resistance against an enemy that he had antagonized for over three hours. He had realized from the very onset that fighting on would mean certain death whereas the enemy would take him and his crew alive if he surrendered his tank but it was beneath his dignity and sense of honour to even consider this option as a possibility. The moment his tank had been hit, Ris. Muhammad Khan and his crew’s options had always been to become “Shaheed” or “Ghazi”, they were not going to disgrace themselves and their regiment with the unsightly stain of surrender. The enemy had been exhausted by now, their resolve had been shattered and they were fighting desperately. Out of fear for Muhammad Khan’s tenacity, they dared not approach the tank even after the crew had run out of any sort of ammunition and when they finally did get the confidence to approach the tank, the miscreants could not bring themselves to crack open the hatch and face their tormentors in hand to hand combat. They realized that they could never take this tank, its crew would not allow it, they had fought with everything they had and even if they were to face them, outnumbered as they were, the tank crew would continue fighting on like lions and cause further losses to the miscreants. With this in mind, as the tank crew waited patiently under the heroic command of Ris. Muhammad Khan to engage their enemy in close combat, the miscreants decided that trying to take the tank intact was no longer worth the losses they had faced and after withdrawing once more, they chose to fire an RPG at the cupola which resulted in the death of the crew but also destroyed the tank and rendered it unusable for the enemy. Their ambition had been crushed by a defiant Muhammad Khan and his valiant crew who had proven beyond the shadow of a doubt that a good fighting force is not made by circumstance, weapons and numerical strength, it is made of the indomitable spirit of men like Ris. Muhammad Khan and his crew, which included Gunner Ahmed Nawaz, Operator Khalid Saifullah and Driver Rasheed. Injured Sepoy Raza was taken into custody by terrorists . He was kept captive for 18 months and had been considered martyred during this episode, his return was a surprise for everyone when the enemy released him as a gesture of compromise when the tables had turned and the terrorists faced imminent defeat at Damadola. It was Sep Raza who narrated the exact story of Ris Muhammad Khan’s last stand at Nisarabad, by that time, Muhammad Khan had already been awarded a Tamgha-e-Basalat posthumously.